If you happen to pass by the National Museum on Pyay Road in Yangon and see an imposing figure (looking at you right at the entrance!) coated in trademark Myanmar Gold colour, you’re looking at one of the greatest kings that shaped the Myanmar that we know today. Bayinnaung Kyawhtin Nawrahta. Cakkavati or the universal ruler, as he was known amongst his peers (peers that he defeated rather) earned his reputation through incessant conquest and empire consolidation. King Bayin Naung rebuilt the Taungoo Dynasty almost in ruins at the time, and rose from the ashes like the fabled bird. Bago (Hantharwaddy – AD 1539 – AD 1599) was the command centre of the Taungoo Dynasty (AD 1486 – AD 1752) during Bayinnaung’s rule. At its peak the Taungoo Empire was spread across Siam (Thailand), Manipur (part of India today), Sitsaungpana (part of China today), Lanna and Chiang Mai (part of Thailand today) and Lan Xang (Laos) establishing the largest empire in the history of South East Asia. In Much like the empire which King Bayinnaung re-created to glory, this palace had been burnt down after the king’s death and now painstakingly rebuilt, as homage to their beloved warrior. Excavation of old Palace started in 1991 & Reconstruction between 1997 and 2002. The Great Audience Hall or the public court shaped like the letter “U" has 176 teak posts excavated in 1991. Also holds the replica of the vintage chariot. Why it should be on your “To See” list? 1. Firstly, if you are a History buff there's lot to learn about history here, the men who united Burma. 2. 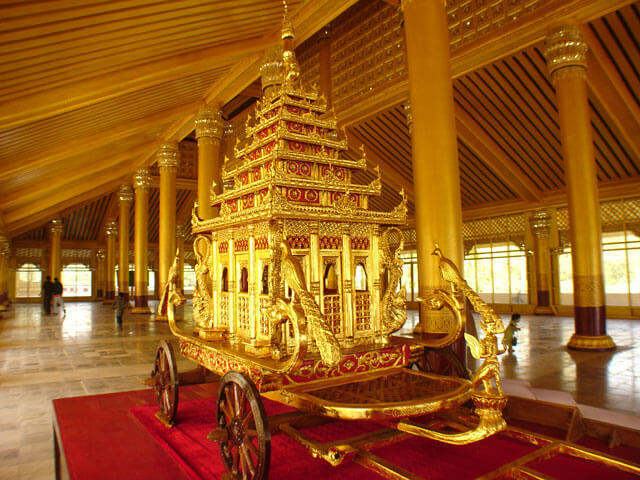 This palace is the second most visited palaces in Myanmar after Palace from Kone Baung Dynasty in Mandalay. 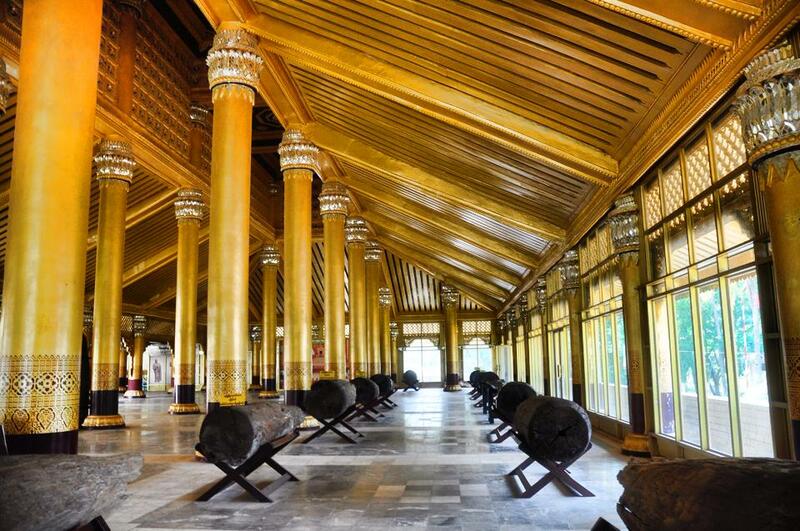 167 teak posts, of which 135 were inscribed in Mon and Myanmar languages bearing the names of towns, regions and the royal ministers who brought the large teak posts for the construction of the great audience hall. This is the largest building of the Palace and was used as a State Audience Hall. The rebuilding of these palaces was clearly an act of great reverence. Excavation still continues in the surrounding areas so one can expect addition to the main structure. 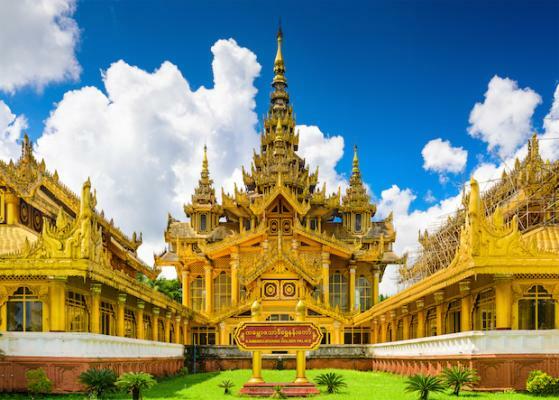 If your visiting Bago Region, Kambawza-Thardi Palace is only a few minutes away from the famous Shwemawdaw Pagoda. Entrance fee applicable for foreigners. You can visit from 9 AM to 5 PM daily.